If you are looking to spend some action-packed vacation with friends, family or work colleagues, then you need not look anywhere else. Ritz-Carlton Golf Resort in Naples is the place to be. The Ritz Carlton Golf Resort in Tiburón Drive, Naples, Florida is not to be confused with Ritz Carlton Naples in Vanderbilt Beach Road, Naples, Florida. Although equally magnificent luxury resorts, the former was especially built for the golfing community around the world that want to enjoy the tropical Florida weather as they engage each other on the resort's golf rinks. The 750 square feet Club Executive Suite with private balcony, views of the resort, king size bed, full parlor off the master bedroom and a connecting guest room. The 2,000 square feet presidential suite with all the facilities in other rooms in addition to Full parlor with dining area for eight and separate service pantry separated from master bedroom by French doors. You will have the option of dining in 4 different restaurants including the Lemonia with its international flavors and American cuisine, the Bella Vista Lounge with its modern world cuisine, the Poolside Grill with its signature buffallo chicken wrap and eXpresso which is renowned for its pastry kitchen. The resort features a 51,000 square feet Spa center with facials, massage, and skincare services rooms. It also features a cardio-vascular and strength training equipment, steam rooms, saunas as well as men and women showers. Tell me this is not the relaxation capital of Florida and I'll tell you that you haven’t been there. 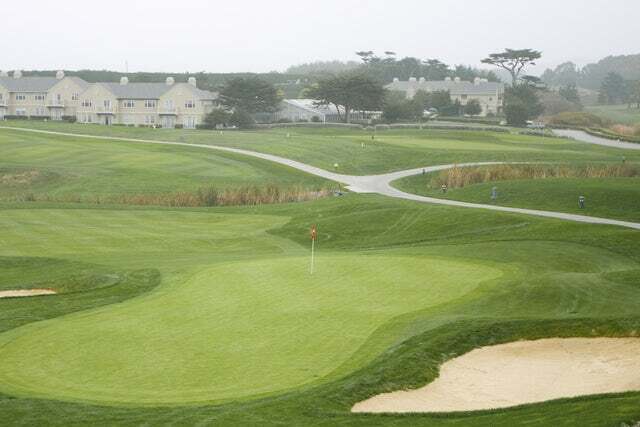 Of course the most distinguishing feature of this Golf Resort is the 36-hole Tiburon Golf Course that was designed by the golfing legend - Greg Norman. The courses on are punctuated by stacked sod wall bunkers, coquina sand and no rough. The resort is also home to the Tiburon Golf Academy that has gone on to produce world beating golfers. Other amenities found within the establishment include the Ritz Kids center that takes your kids into storybook adventures, tennis courts, fitness center, among others. If you are looking to spend some action-packed vacation with friends, family or work colleagues, then you need not look anywhere else. Ritz-Carlton Golf Resort in Naples is the place to be. Contact us today and we will get you packing.